We’ve designed specialty products, such as ACCEL-Mix™ Concrete, to better address cold-weather concreting challenges. L’ACCEL-Mix™ Concrete has a faster setting time and increases the concrete’s early strength. It also reduces the amount of water required. This ensures that the work’s quality and execution time are not compromised. Since concrete’s water content varies between 15% and 18%, cold concrete is vulnerable to freezing. 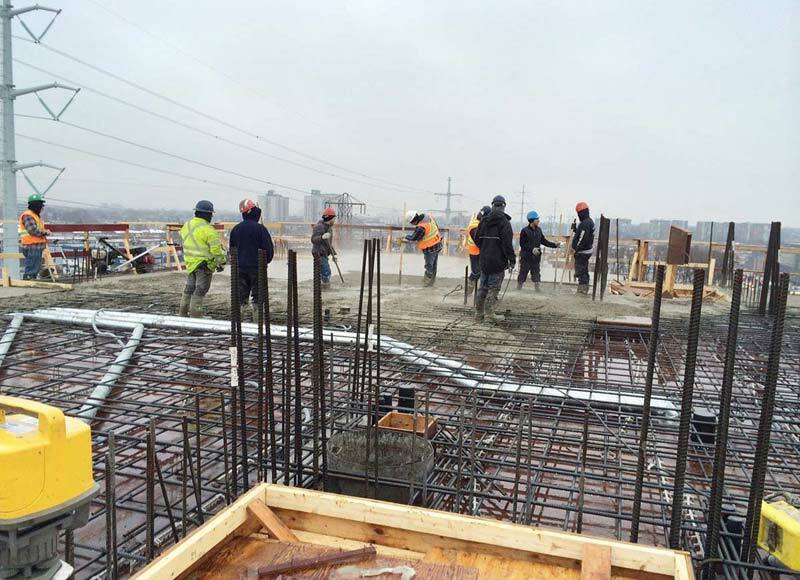 Our climate’s low temperatures have a direct impact on the concrete’s performance. Cold weather considerably increases the setting time and causes water to rise to the surface of freshly poured concrete. In the winter, it is important for concrete to develop enough maturity to withstand the cold and maintain its integrity and strength. WHICH MIX SHOULD I CHOOSE? The ACCEL-Mix™ Concrete solution comes in six mixes, adapted to the ambient temperature. Our different mixes are adapted to the ambient temperature, and you can use our documentation to choose the price based on the weather. 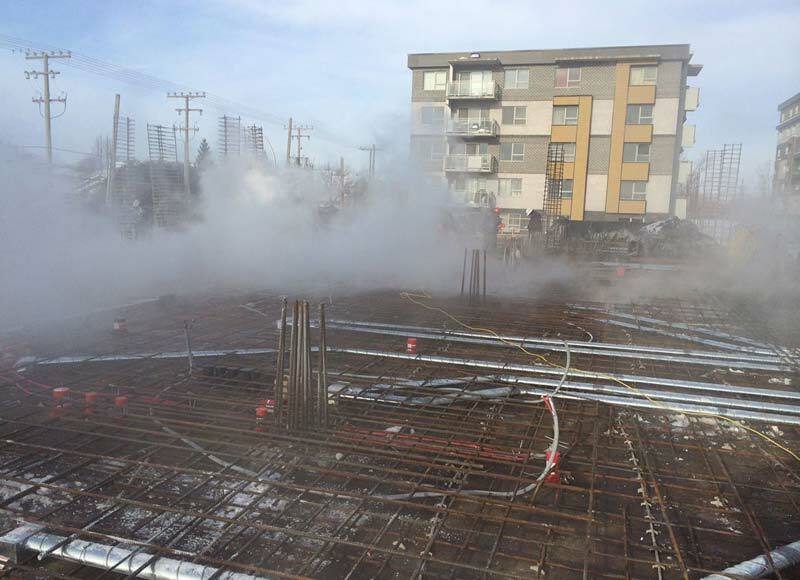 IN THE WINTER, THE RISK OF CONCRETE FREEZING BEFORE IT SETS IS AN IMPORTANT FACTOR TO CONSIDER IN CONSTRUCTION. THIS IS WHY WE RECOMMEND BÉTON PROVINCIAL’S ACCEL-MIX.